You'll be £18.75 closer to your next £10.00 credit when you purchase Battle of Britain Memorial Flight. What's this? The history of the Flight began with the formation of the Historic Aircraft Flight in July 1957 which was to become The Battle of Britain Memorial Flight. Countless displays and fly-pasts have enthralled audiences and enthusiasts all over Britain and in many parts of Europe, when the traditional Avro Lancaster, Spitfire and Hurricane can be seen in their wartime colours. This book is written with the wholehearted support of the Flight's Commanding Officer and the author has access to archive material. The book includes a Foreword from the OC BBMF, a complete history of the unit, chapters on each of the types operated, including the DC-3 Dakota and de Havilland Chipmunk and present-day operations. Photos include superb images from the BBMF archives, the author's collection that includes historic black and white shots from the early days, air-to-air colour, personalities and behind-the-scenes images. Keith provides detailed chapters on the history of the Flight, the aircraft that currently makes up its number, and the people behind the aircraft. 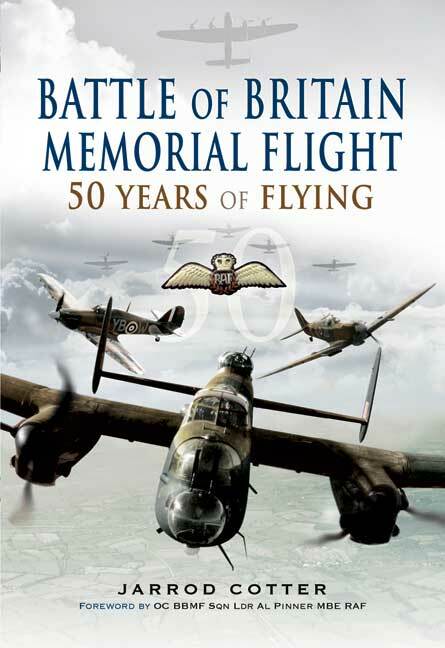 The book is also commendably up to date and features some wonderful air-to-air images of the BBMF's newest flyer. Overall, it's the definitive guide to one of the British airshow scene's most admired regulars.